Here’s what we know: When we support our littlest learners and their families, during the critical first three years, infants are more likely to grow into healthy kids who are confident, empathetic and ready for school and life—and our communities, workforce and economy become stronger and more productive. National, state and local policymakers agree and are making young children a top priority because they know the importance of early childhood development. They see first-hand the positive benefits of supporting families during this especially important time in their children’s development. The science of early learning tells us that the first three years of life are critical for brain development. In fact, experiences, both positive and negative, in these earliest years, form the foundation for not only future cognitive, social, and emotional development, but also for overall health and well-being. While there is widespread agreement on the importance of focusing on a child’s earliest years, many policymakers, education and health leaders are looking for more resources to help build a comprehensive prenatal-to-three policy system that supports the healthy development of young children and their families. 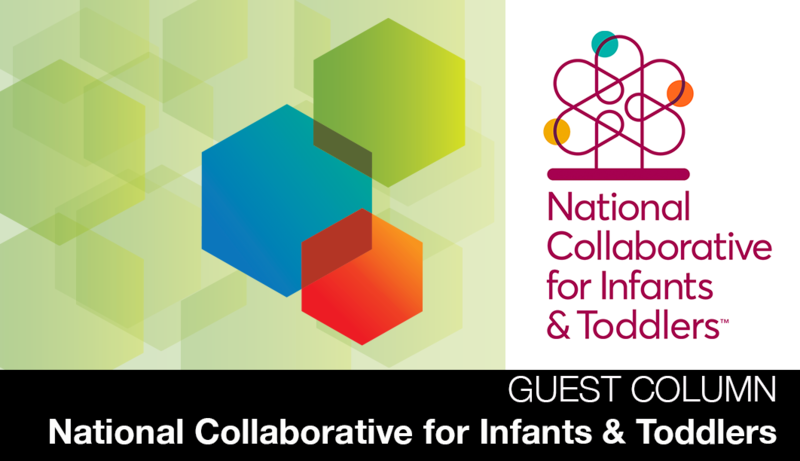 Recognizing the urgent needs of young children and their families, national, state and community early childhood leaders have come together to form the National Collaborative for Infants and Toddlers (NCIT). Funded by the Pritzker Children’s Initiative (PCI), NCIT partners are joining forces to advance policies and programs to ensure all families have the support they need to give their infants and toddlers a strong foundation for success in school and life. Healthy beginnings include maternal access to prenatal care, and children’s access to preventive and comprehensive health care early in life. Preventive and comprehensive health care includes regular well-child visits and screenings and referrals to any necessary intervention services to ensure optimal development in a child’s earliest months and years. Supported families promote stimulating learning opportunities and nurturing, responsive relationships. Supports such as parent education, screening for maternal depression, and connecting families to financial, housing, food and other services can help parents navigate the challenges of raising young children and nurturing their healthy development during the critical early years. Building a strong infrastructure of coordinated community supports can help meet the range of family needs. This infrastructure includes better coordinated home-visiting programs, expanding the capacity of new or existing home-visiting programs, or using universal screening and referral programs to help identify the needs of families and children at birth. High-quality, affordable care and learning experiences should be accessible to every family who needs them. Whether cared for in a center or with friends, family or neighbors, stimulating learning opportunities and nurturing, responsive relationships with caregivers are crucial to support healthy brain development in infants and toddlers, and can also help connect families to local services and supports they may need. Across the country, states and communities are leading efforts to advance research-based solutions to support infants, toddlers and their families. Explore the case studies to see what’s working in North Carolina, Connecticut, Texas and Illinois. Learn how experts and advocates inside and outside state and local government are building, strengthening, implementing and tracking effective prenatal-to-three policies and programs. The NCIT Prenatal-to-Three Outcomes Framework provides a roadmap for states and communities to develop, monitor, assess progress and improve their work for infants, toddlers and their families. The intentional focus on equity guides initiatives in setting goals and targeting the work to address the unique needs of all children. The framework reminds state and community planners that understanding the characteristics of the families and children they serve and addressing disparities are critical steps in developing responsive programs and policies. Assist states and communities to chart areas of strength and areas of opportunity. Help identify the work of new partners who can be included in planning and implementation as the initiative proceeds. Guide continuous improvement as it identifies high-priority indicators for targeting and monitoring over time. Guide projections and calculations of the number of children reached by the initiative. Highlight challenges around quality and access or policy and program areas in need of improvement. Provide a communications tool to demonstrate the goals and work underway to support prenatal-to-three efforts. Help develop shared language and vision across stakeholders. Positive child and family outcomes are derived from access to programs and policies that together support the healthy development of children prenatal to three. These program and policy outcomes include the following (see figure 1.3). The foundation for successful policy and programmatic outcomes starts with a strong and coordinated prenatal-to-three system to address the needs of at-risk infants, toddlers and families (see figure 1.4). States and communities can conduct a systems assessment to set goals and target specific populations. The process should include collection and review of data on high priority contextual factors such as the percentage of infants, toddlers and their families living in poverty, with unstable housing, with food insecurity, or without access to a medical home. As more and more states and communities develop prenatal-to-three systems, policies and programs, we hope the framework can provide guidance to catalyze meaningful action and achieve greater impact. To learn more about applying the framework to your own prenatal-to-three efforts, please visit www.thencit.org or contact NCITSupport@childtrends.org.